Among the MIT EF Pan Arab long list of startups alumni is Fabric Aid, a second-hand clothes collector and distributor based in Lebanon. Fabric Aid won first runner up prize for the social entrepreneurship track at the 11th edition of the Arab Startup competition held in Oman, on April 19, 2018. Between July 2017 and May 2018, the startup recruited 20 full-time employees, and improved the life of more than 3,000 people living in Lebanon with high quality clothes at affordable prices. “Get your idea, test it and don’t give up!,” says the twenty-two-year-old Fabric Aid’s co-founder Omar Itani during an interview with the MIT Enterprise Forum team. His story started in December 2016 when his mother took his old clothes and gave them away to the doorkeeper, which pushed Itani to ask whether he would use the shirts despite the size difference. The doorkeeper responded “whatever fits me, I take, the rest is thrown away.” For Itani, this meant not only a waste of clothes that could benefit those in need, but creates a drawback on the environment, because “clothes are made of petroleum and sometimes plastic that takes hundreds of years to biodegrade,” he said. What to do with waste clothes? As a result of this conversation, Itani started to inquire about unwanted clothes around him. He posted on Facebook asking for people’s contribution. He then managed to collect 200 kgs of clothes. “I had 1000 pieces! So I went to local NGOs serving refugees and vulnerable communities to ask them how to proceed, and I realized that many NGOs didn’t have the resources and capacity to best handle the operation of collection, sorting and proper distribution. This is why in Lebanon, less than 10% of clothes are being collected. Yet 2.5 million people can’t afford first-hand clothes,” Itani explains. With only $2,000, the young entrepreneur started collecting clothes from NGOs and paying them $0.5 per kilogram. He then rented a warehouse where he processed them and started selling each piece for as low as $0.5 to $2. 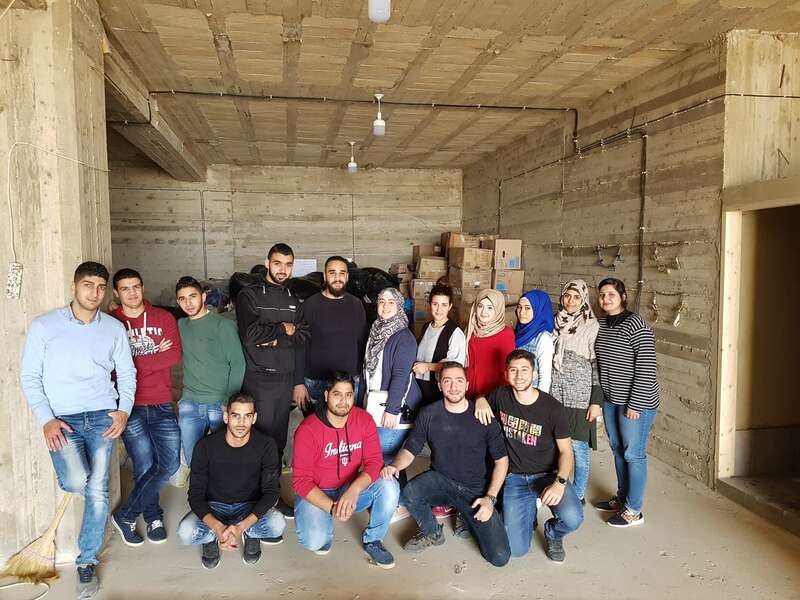 After testing the ground and conducting a study internally, which showed there were hundreds of tons of high quality clothes thrown away each year in Lebanon, Itani started building a solution to give people in need access to affordable good quality clothing. Today, Fabric Aid has developed an infrastructure that fills the gap in the market, while supporting vulnerable communities and indirectly protecting the environment. The firm collects second hand clothes from various sources to be sorted, cleaned and sold at very affordable prices. 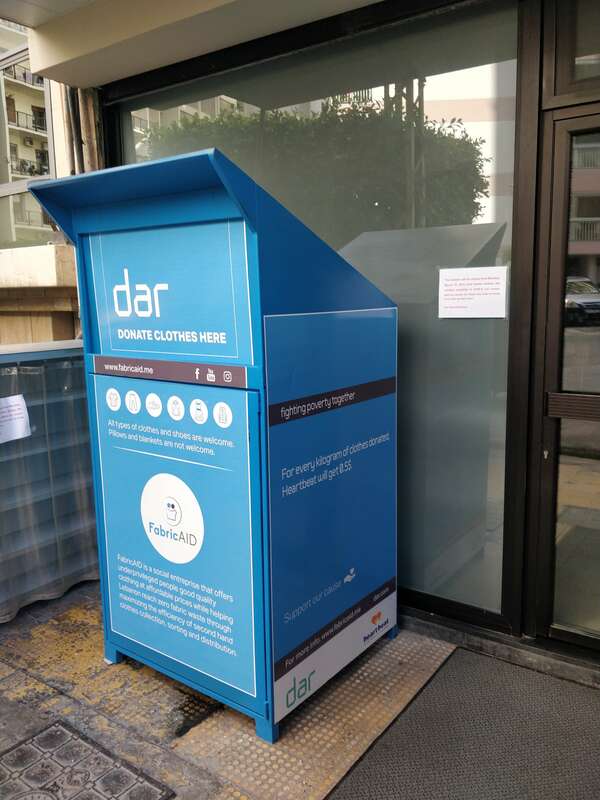 With more than ten bins in Beirut alone (collecting private items), two weekly pop-up shops all over the country, and 30 tons of clothes processed in less than 10 months, Fabric Aid has embarked on a new project, creating additional revenue generation: selling upcycled clothes through fashion exhibitions. In fact, parts of the clothes are being upcycled by ESMOD (Lebanese fashion school) students and a tailoring facility in the Bekaa valley. “ESMOD students send the design to women refugees, who are trained to create the clothes. This way, we offer job opportunities to women from vulnerable communities,” explains Itani. But entrepreneurship also comes with challenges: “I had to learn and deal with cash flow projections and human resources management, especially that I now have a team of 20 full time staff members,” he explains. Asked about the secret to success, he smiles and says: “Organizations like MIT Enterprise Forum are definitely venues from where we get financial support, useful connections and partnerships.